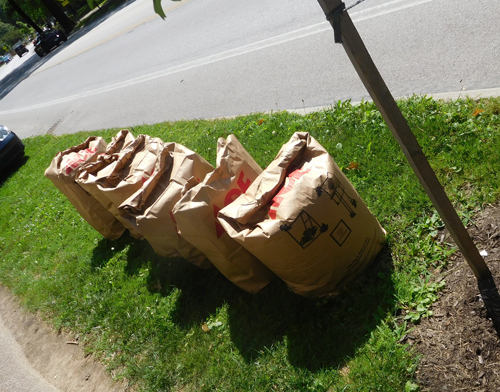 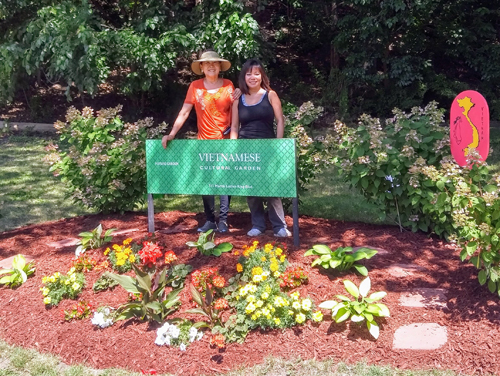 A hard-working crew spent time in the beautiful weather on Saturday getting work done in the Vietnamese Cultural Garden preparing for One World Day which will be Sunday August 27 from 11 AM to 7PM. 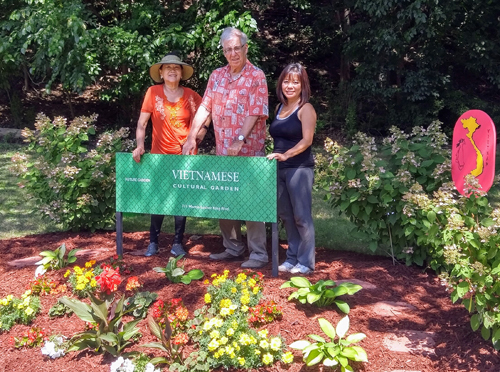 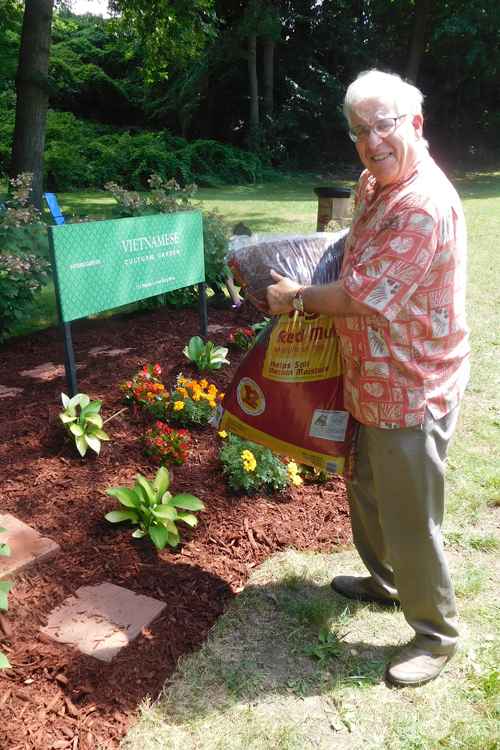 Four leaders of the Vietnamese Cultural Garden: President - Gia Hoa Ryan, Vice President - Oanh Loi-Powell, Legal Counsel - Atty Joseph P. Meissner, and Secretary - Michael Powell, raked up branches and debris from the entire area, hard-edged and added 20 bags of mulch to the flower bed. 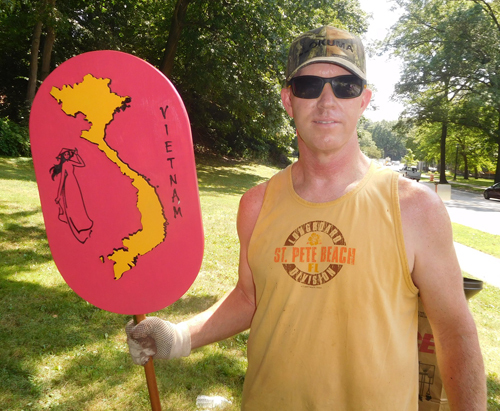 They planned out activities in the Vietnamese Cultural Garden for One World Day - only two weeks away. 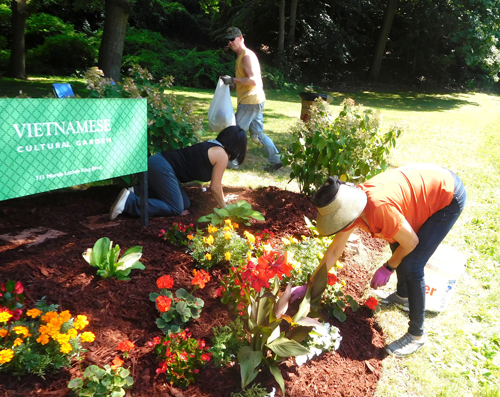 Vice President Oanh Loi-Powell said "There are just flowers in the Garden right now, but one day we will have a beautiful monument to celebrate our culture and traditions."